Shiv Sena Member of Parliament Rajan Vichare is in the centre of a raging controversy after the representative from Maharashtra’s Thane constituency was seen force-feeding a Muslim employee of the Indian Railway Catering and Tourism Corporation -- in-charge of handling catering at Maharashtra Sadan in New Delhi. Vichare, along with 10 other Shiv Sena MPs, were protesting against the ‘inferior quality’ of food served. Some reports stated that the MPs were dissatisfied with the fact that Maharashtrian food was not served to them. However, TV footage showed Vichare tried to thrust a chapati into Arshad’s mouth, the IRCTC staffer, during the latter’s Ramzan fast. The action of the Sena MPs led to a ruckus in the Parliament with opposition parties demanding an apology from the Sena members before staging a walkout. The Sena, in the meanwhile, has responded that their members weren’t aware that the staffer was a Muslim. The IRCTC has suspended its services in protest. So who is Rajan Vichare? 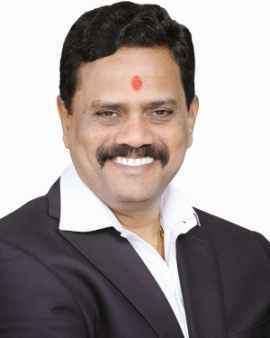 The Shiv Sena politician made a name for himself after winning the 2014 Lok Sabha election from Thane constituency, trouncing his nearest opponent (former MP Sanjeev Naik of Nationalist Congress Party) by nearly 6 lakh votes. Vichare was a member of the Maharashtra assembly from 2009 to 2014. Vichare has also served as the mayor of Thane after he won the mayoral elections in 2006. Vichare has been associated with Shiv Sena from childhood, and is an admirer of Sena leader late Anand Dighe, apart from party supremo Late Bal Thackeray. The 52-year-old leader owns assets worth over Rs 10 crore and has 13 declared criminal cases against him, as per his affidavit filed before the 2014 elections. His website describes him as “a young and enthusiastic evergreen social worker and a real friend of the common man”.